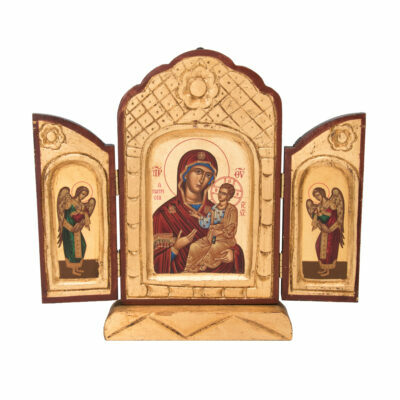 This stunning Byzantine icon will magnificently adorn any room in your home or oratory. 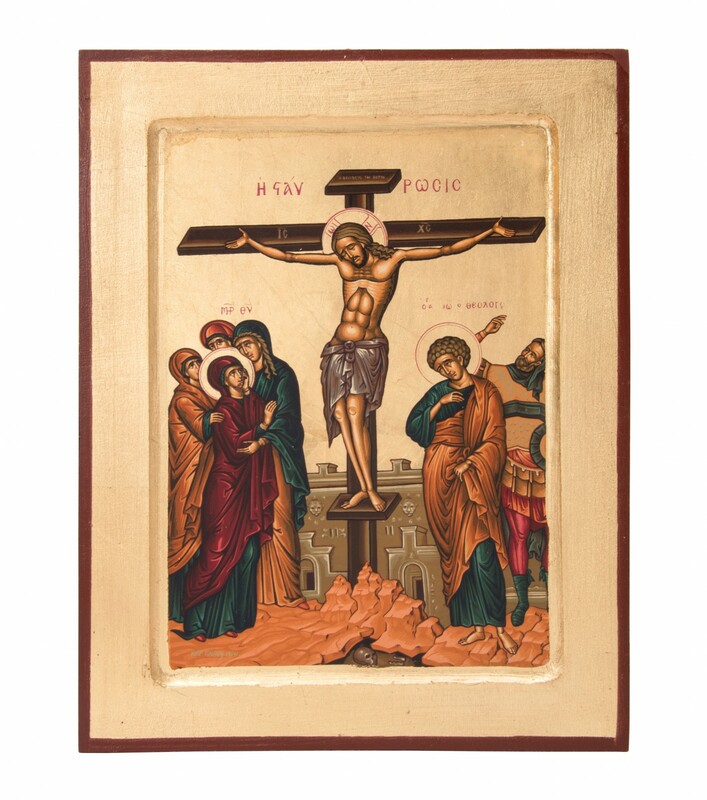 Designed in antique Byzantine style, this reproduced icon is handmade in Greece on wood and displays the crucifixion of Christ, behind which is a resplendent golden background, symbolic of heaven and typical of the Byzantine style. 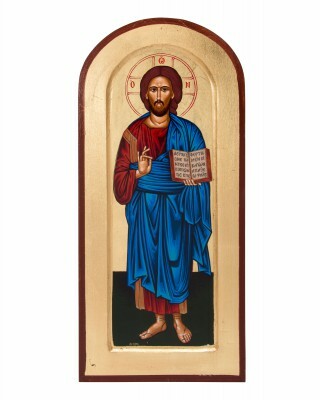 Christ is depicted in a state of pensive sorrow; he wears a grayish cloth and on each side of the cross are the Greek letters IC and XC, which are the first and last letters of “Jesus Christ.” His mother Mary and beloved disciple John are present as are the centurion who asked Jesus to heal his servant, and other women who were following Jesus, including Mary Magdalene and Mary, the mother of St. James. 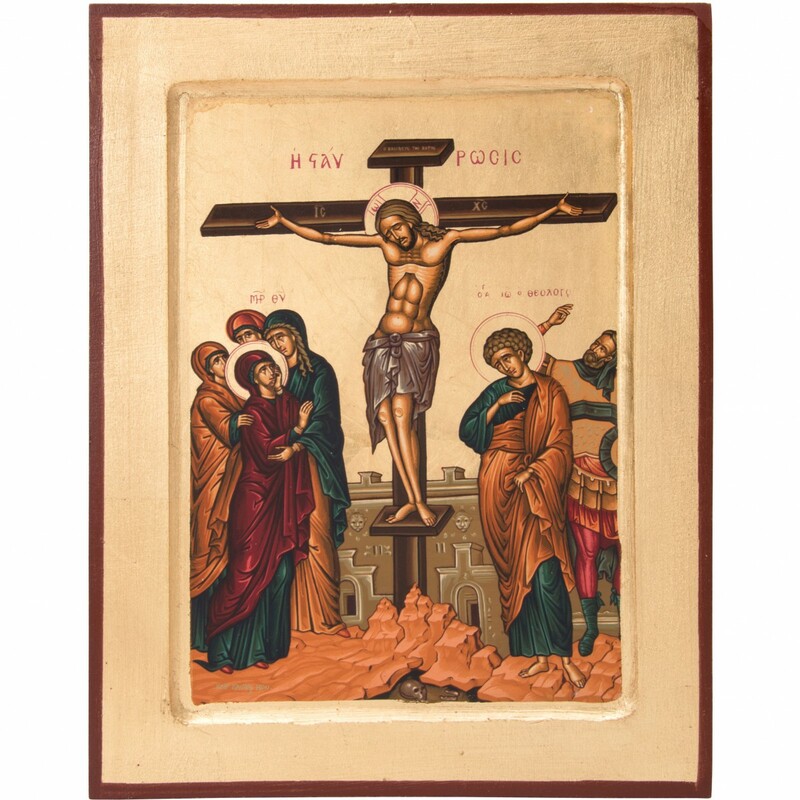 The maroon and gold ornamental detail surrounding the crucifixion is exquisitely resplendent. 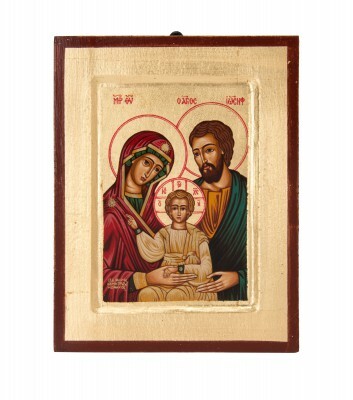 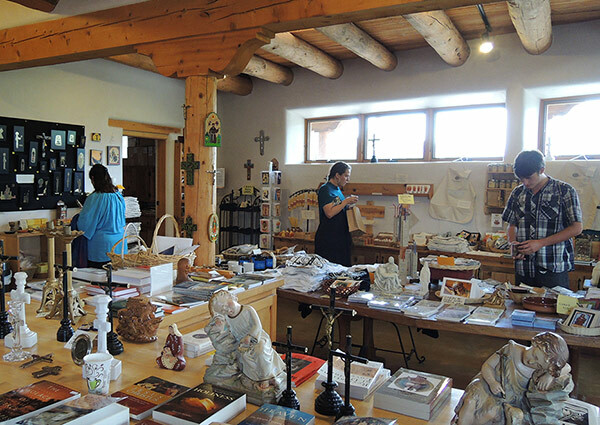 The back of the icon contains a seal certifying that the piece was handmade in Greece.